On the left hand side there is the navigation bar, click on the Users button and then click on the add new button. 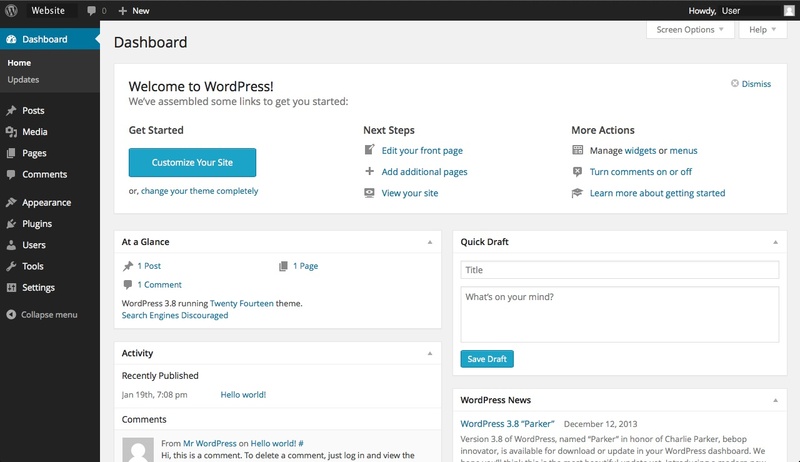 On this page you will be able to provide the information for your new user. The first two input fields are for the user's login name or "username" this will be the name that your user will use to log in. the second box below it is for the user's e-mail, this will be used for password recovery and notification purposes. The next three input fields are for the users first name last name and website, if they have one. While these fields are optional it is recommended to fill in the first name and last name for easy identification of the account. As you type your password in the top password field this box will read out as "Very Weak", "Weak", "Medium" and "Strong" in relation to the number of letters (both upper case and lower) numbers and symbols that are included in the password. It is recommended that you use a randomly generated password for maximum security. 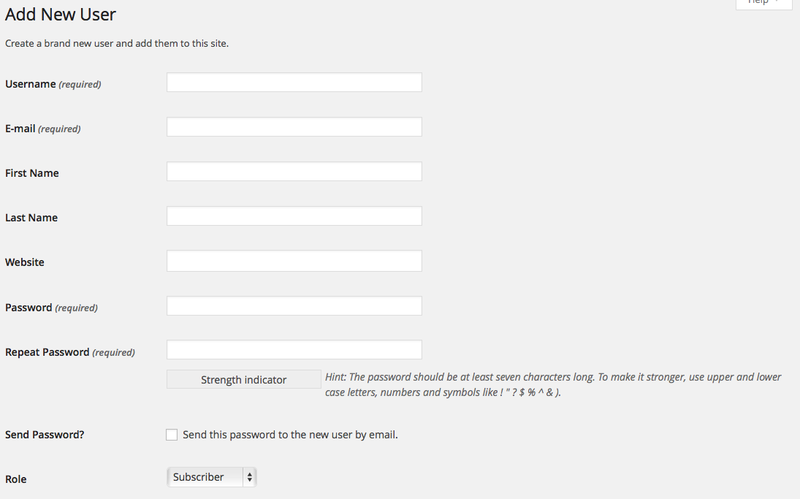 Below the password section of the page there is a check box that says "Send this password to the new user by email. ", it is recommended that this box is checked so the user has a record of their password and user information. Beneath the check box there is a drop down menu labelled "Role". This drop down box allows you to set the new user account's permissions. This drop down menu gives you the option to set the account as "Subscriber","Contributor", "Author", "Editor", and "Administrator". These five different permission levels dictate how much access and editing ability they have on the posts and pages of the site. If there are any further questions related to creating a new user account you may open and submit a support ticket.